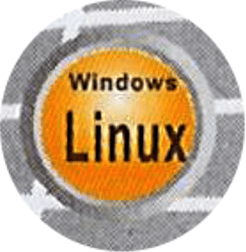 Microsoft to Release Windows Linux! 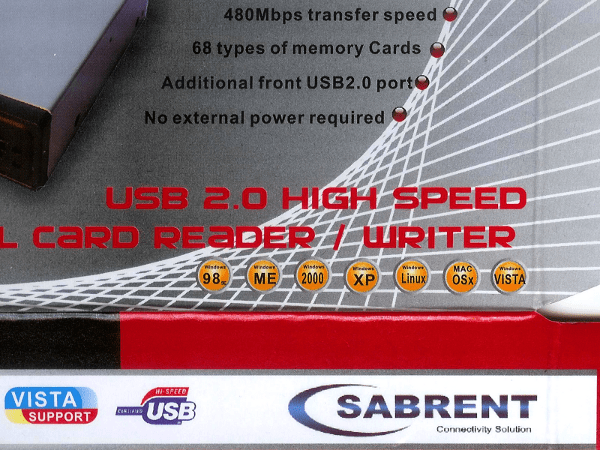 I was looking today at the packaging of my new Sabrent 3.5" internal card reader and noticed something very interesting on the front of the box. There is a series of gold dots on the front of the package listing the compatible operating systems. Do you see what I see? That's right, it lists Windows Linux as one of the compatible operating systems. It looks like Sabrent accidentally leaked Microsoft's future product direction right on the front of their box! It's no surprise that Sabrent would be privy such a tightly held MS secret. Microsoft is known for working with hardware vendors early on to ensure hardware compatibility. That's how they managed such a glitch free launch of Windows Vista with virtually no hardware or software incompatibilities to speak of. Has Redmond finally seen the light? Perhaps this is a new cost reduction strategy at Microsoft to help them get through the tough times of the global recession. Several other companies have already seen the value in basing their products on Free and Open Source Software. I know, I know! Don't go all nuts leaving comments telling me that it's a misprint on the packaging. Obviously, Sabrent got so carried away with the Windows this, Windows that theme that they actually listed Windows Linux as a supported OS. So much for proof reading. But it was fun to think about, wasn't it? Of course we all know that if MS did release a Windows Linux that it would certainly not be as cool as all the various Linux distro's we have grow to love. They'd figure out some way around the GPL so they could have a crazy, uncustomizable, locked down, and ultra expensive operating system. Kind of like OS X! At least the Windows version would run on more than five different computer configurations. It is already there by a company called Novell and named as Suse Linux. I'd saw the same in an external hard disk some time ago, i couldn't believe that. Kill them all!!! ^^^ Indeed, I think I just vomited a little. The sad thing is, people would actually pay for it. Microsoft has had a *nix install since 1999. The latest version is even free to download. Just look for "Windows Services for UNIX." It runs a POSIX environment named Interix on top of Windows.